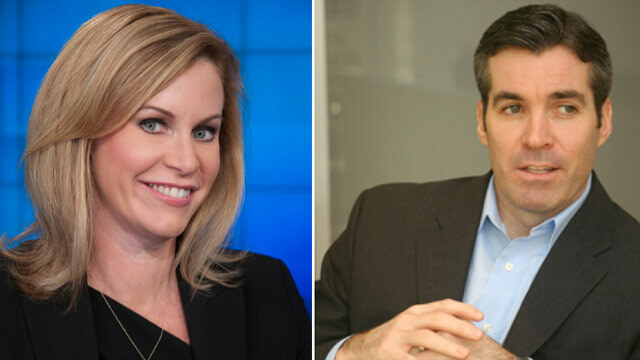 Democratic strategist Stephanie Cutter and Republican strategist Kevin Madden will join CNN as political commentators, it was announced today by CNN Washington bureau chief and senior vice president Sam Feist. The veteran communications consultants will add their expert analysis to the network’s roster of voices and will appear across the network’s programming including New Day, the morning show scheduled to launch June 17. Cutter is a partner at Precision Strategies, a strategic consulting firm launched earlier this month with three veterans from the Obama 2012 campaign team. Cutter served most recently as the deputy campaign manager for President Obama’s re-election campaign, having joined Obama’s 2008 campaign as Michelle Obama’s chief of staff and senior adviser to then Senator Obama. Before joining the campaign, Cutter served in the White House as Assistant to the President and Deputy Senior Adviser, and was previously counselor to Treasury Secretary Timothy Geithner. Cutter is also a veteran of Capitol Hill, having worked as a senior adviser to Majority Leader Reid and Senator Edward M. Kennedy. She is a native of Massachusetts and a graduate of Smith College and Georgetown University Law Center. Madden is the executive vice president of public affairs at JDA Frontline in Washington, D.C. Previously, he was a managing director for The Glover Park Group. Madden served as adviser for the Republican National Committee and Gov. Romney’s presidential campaign during the 2012 election. He also served as national press secretary and senior communications strategist for Romney’s 2008 presidential bid. Prior to joining Romney’s campaign, Madden was press secretary to then-House Majority Leader Boehner. He is a native of New York and a graduate of State University of New York at Cortland.